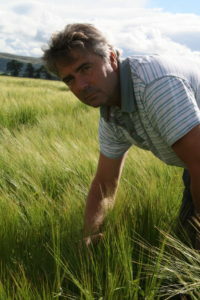 Spring barley varieties that have a better tillering ability could be linked to higher yields helping to explain why many of the newer varieties are offering such increases in yield claims leading plant breeders Limagrain UK. This is based on agronomy trials carried out by the breeder that have focussed on monitoring the tillering capacity of spring barley lines over many years. “It is quite evident that many of the newer varieties appear to be producing higher tiller counts,” says Limagrain’s arable technical manager, Ron Granger. Over the last three years of Limagrain trials it is clear to see that newer higher yielding varieties show a corresponding rise in tiller number. First on the Recommended List in 2009, Concerto has a lower tillering ability than newer varieties such as Sienna, which was first listed in 2015. This is a trend that has been seen over three years of Limagrain trials (see Chart 1). “It is a significant contributory factor in the 10% increase in yield seen from the top varieties added to the AHDB Recommended List over the last 10 years. Varieties such as Concerto can still achieve high yields if the final target tiller count of about 775m2 is met, but a cultivar that initially produces more tillers will compensate better for tiller loss in stressful conditions, helping crops reach their full potential in most years. 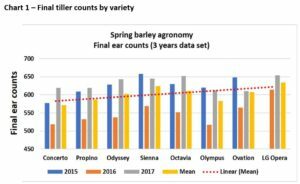 As newer spring barley varieties generally have stronger tillering ability, careful attention should be paid to seed rates to optimise plant populations and hit target head numbers, he notes. When considering seed rate in relation to tillering, our trials comparing variety seed rates over various seasons and regions suggest that with the more vigorous, higher tillering varieties, the optimum seed rate is 350 seeds/m2 when drilling in ideal conditions around mid-March, adds Mr Granger. Balanced crop nutrition plays an important role in tiller survival and in the past, growers have been reluctant to increase nitrogen application rates in spring malting barley crops through fear of exceeding maltsters’ grain nitrogen limits. 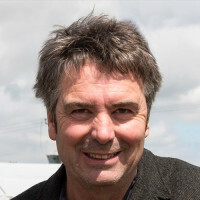 “However, the latest Recommended List varieties produce more tillers and higher yields, so in some situations additional nitrogen is required to maintain tiller numbers and maximise crop potential,” says Mr Granger. 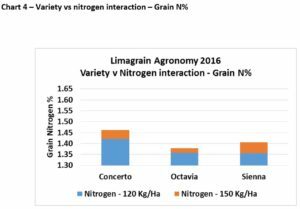 In our own trials, we have seen a benefit of upping nitrogen rates from a standard seed bed application of 120kg/ha to 150kg/ha, with the additional 30kg/ha applied at tillering (see Chart 3). 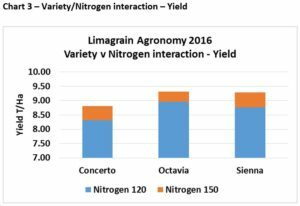 Limagrain trials have also shown that additional nitrogen can certainly be beneficial to maximise yield potential in poorly established or lower tillering crops. “In addition to nitrogen, phosphate and phosphite will promote rooting and micronutrients such as manganese will help keep plants healthy, all reducing the risk of tiller loss through the spring,” says Mr Granger. He points out that further work is required on the relationship between fertiliser applications, grain N and possible defects such as skinning and screenings. As a result, Limagrain is a partner in the new AHDB project, “Updating nitrogen and sulphur recommendations in spring barley”.